A Senior Professional with over 20 years of Human Resource Management experience in the manufacturing, transportation and consumer goods industries. 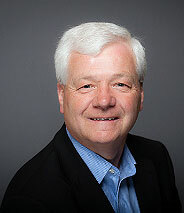 His career started in Labour Relations successfully negotiating numerous collective bargaining agreements with many union groups and establishing his reputation as a progressive relationship builder. He then progressed into HR leadership positions overseeing organizations such as Cami Automotive, Laidlaw Transportation & more recently Sleeman Breweries. Walt has a strong wide ban of experience in all disciplines of Human Resources such as: Influential Negotiations, Strategic Planning, Organizational Development, Total Rewards, Collective Bargaining, Customer Service, Recruitment & Retention, Talent Management, Labour /Employee Relations and Change Management. Employee Engagement: Developed and implemented a Competency-Based Performance Management process that achieved aggressive company goals. Talent Management: Enabled unprecedented company growth of 40% over 3 years through development and implementation of a Management Succession Program including high potential identification and development. Collective Bargaining: As Chief Spokesperson, successfully and proactively settled over 40 Collective Agreements with various unions, within mandates and without work disruptions while preserving or enhancing working relationships. Recruitment / Retention: Developed a front line Staffing Strategy that reduced turnover by 10% with annual cost savings of $2.5 Million. Organizational Development: Successfully launched John Sleeman University, an Orientation Program that helped increase employee engagement levels by over 6%. Total Rewards: Restructured Compensation and Benefits Programs, which resulted in a $2 Million in cost savings while increasing employee satisfaction levels by over 5%. Strategic HR: Over 10 years of leadership experience as a valued member of organizations Senior Leadership Teams or Boards of Directors resulting in achievement of company business plans and goals.